If you’ve dreamed about owning a Porsche 356, the time to act is now: Prices have been increasing, especially for the open cars. The original Speedster, intended to be a low-cost, no-frills model, can now trade for more than $300,000. Is all for naught? No, you just have to know where to shop. “If I had $40K as a maximum budget, I would look for a solid, rustfree B coupe with a tattered interior, worn paint and a good C or 912 engine–brings the price down,” says Porsche collector Jerry Peters. The 356B simply falls between models in greater demand. 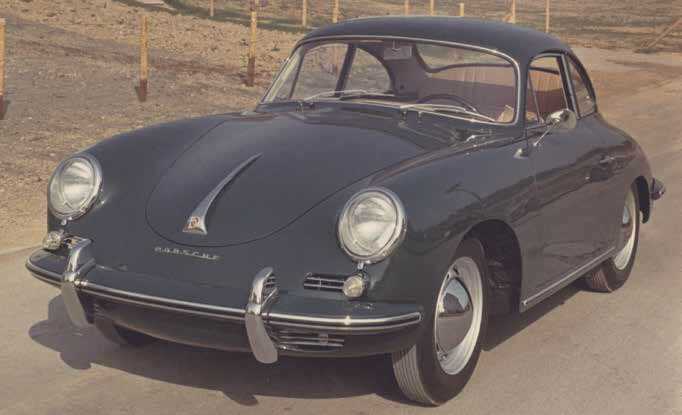 The 1955- ’59 Porsche 356A, as well as the cars that preceded it, fetch today’s biggest bucks simply by being first–and, some say, by looking the prettiest thanks to their low bumpers and smoother lines. Most good examples, especially open cars, reach well into the six-figure range. The 1963-’65 Porsche 356C represents the final evolution of the model. Power was up, outward visibility was improved, and disc brakes could be found at all four corners. The mechanical updates can be retrofitted to an earlier car, but in a world where originally is king, the 356C delivers the best performance in stock form. That leaves the 1959-’63 Porsche 356B as the value buy, but that term doesn’t mean it’s a lesser machine. It’s still a 356, one of the most iconic sports cars ever unleashed. 356B production covers both the early (T5) and late (T6) bodies used during the 356 model run. The T6 body was new for 1962, and a bit of a nose beak and a lowered fuel tank helped increase luggage space. Other updates included a larger rear window, while two engine grilles replaced the single one previously used on the model. Expect to shell out a little more for those updates, too. Hagerty says to pay somewhere near $52,500 for a standard 1961 Porsche 356B coupe in good condition, but the next year’s model in the same shape and trim fetches about $3000 more than that. In a world where six-figure 356 sales have become the norm, yes, some deals are still out there–assuming you don’t mind doing some work. Fortunately, the 356 is supported by a huge aftermarket and club network. Carl Heideman’s Eclectic Motorworks has restored more than a few Porsches over the years. Just like most cars built before the days of quality factory paint and sealing technology, 356s are prone to rust, sometimes in severe ways. Look in the obvious places for all cars: suspension mounts, floors, battery box, longitudinals, door bottoms, etc. Also look for rust in places where multiple layers of metal are built up, like the edges of not only the doors, but the deck and trunk lids. The fronts of trunk lids are especially prone to damage, often multiple layers deep, where the edge is folded over the substructure. A-pillars (in front of the doors) and B-pillars (rear of the doors) get pretty rough sometimes as well. Other areas prone to damage are higher up the rear quarter panels or below leaky window seals. Almost more important than seeking out rust is identifying past repairs. A lot of these cars were repaired before quality patch panels and repair methods were available. There is often some very bad work hidden under layers of body filler and rustproofing. We’d rather repair an untouched but very rusty example than a seemingly less rusty but previously repaired example. Undoing someone else’s “repair” is usually worse than fixing a bit more damage. Look for evidence of “clipping” a car to repair collision damage. Many cars that have been in front- or rear-end collisions were repaired with used sections from parts cars. Again, many of these repairs were crude at best and are very tedious and expensive to re-repair properly. Make sure any water that can get into a place prone to rust can also get out. When repairs are made, much thought is given to sealing but little is given to drainage. If there’s no drainage, sooner or later rust will follow. I had two of them way back when they were $6500 cars. To be perfectly honest, they're not that special. Glad I owned them but no way in hell would I pay the prices nowadays considering what they are. I'm with TR8owner; I think 356s are one of the prettiest cars ever but man it's hard for me to love them at current prices. 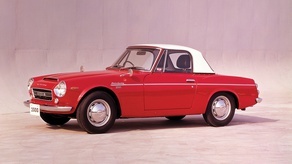 If I sold the Datsun, the Beta, the Formula 500 and our Campervan I would have just enough for a 356. The problem is a few years ago at a track day I drove a students vintage race 356, it handled similar to my 1200 and had the same level of performance........oops. At 10-15K even 20k I'd consider one but at 40-60k there are so many other vintage cars are just as good looking and offer more performance. With all that said, they are good looking cars and I find them fun to drive. So if you have the 40K to spend buy what makes you happy regardless of what other people think. I agree also. I have not owned one, but I do own a Ghia and I know they are very similar (I even have mirrors sourced from a 356 on mine). I honestly think the Ghia is a better looking car, the 356 just looks too bloated for my likes. I think of the Ghia as a sort GT version of the 356. If you want an investment car, like them, and have the money, go for it. If you just want the driving experience, buy a Ghia, or even a bug, I am sure they are not that far off (they are getting "collectible" now also of course, just not as insane). I can imagine someone not familiar with older cars buying one and being very underwhelmed.